Ortho Dermatologics, one of the largest prescription dermatology health care businesses in the world and a division of Bausch Health Companies Inc. announced that the Food and Drug Administration (FDA) has approved the New Drug Application for Altreno (tretinoin 0.05%) lotion, indicated for the topical treatment of acne vulgaris in patients 9 years of age and older. Altreno is the first formulation of tretinoin in a lotion, and has been shown to be effective and generally well-tolerated. Altreno is expected to be available during the fourth quarter of 2018. "Today's FDA approval of Altreno builds upon our strong acne portfolio, providing physicians and patients a trusted retinoid in a lotion formulated to enhance the user's experience with the inclusion of moisturizing attributes of hyaluronic acid, glycerin and collagen," said Bill Humphries, president, Ortho Dermatologics. "Altreno lotion spreads easily and is quickly absorbed into the skin allowing acne patients to easily incorporate this once-daily treatment into their skin care regimen." Extensive clinical data has shown that retinoids are highly effective in treating acne and are considered a cornerstone of topical therapy. However, a common perceived barrier to their use is that treatment with retinoids is associated with skin irritation, such as dryness and peeling, and sensitivity. In clinical trials, Altreno lotion provided the proven efficacy of tretinoin, a retinoid, in a generally well-tolerated formulation with skin dryness, pain, swelling, irritation and peeling reported in =4% of patients. 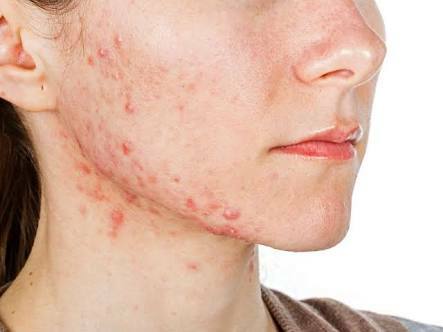 "Topical retinoids are a foundational treatment for all patients with acne, but they often cause skin irritation," said Joshua Zeichner, MD, director, Cosmetic and Clinical Research in Dermatology, The Mount Sinai Hospital, . "With the efficacy expected from a retinoid, plus a proven tolerability profile, Altreno will be an ideal choice for many of my patients."